The comedy star has long been known for randomly appearing in everyday places; a new film aims to find out why. Ask just about any comedy fan and they'll tell you that they would love nothing more than to hang out with veteran actor Bill Murray. For a tiny percentage of fans, that dream actually comes true — in large part because Murray has a penchant for randomly inserting himself into everyday situations, which typically causes temporary shock followed by overwhelming joy. Over the years, Murray has crashed bachelor parties, appeared in people's wedding photos, and even dropped in on an ice cream social being held in his honour. Thanks to smart phones and social media, many of these encounters have been filmed, photographed and shared online. Now a new documentary called The Bill Murray Stories: Life Lessons Learned From a Mythical Man, has collected those stories, images and videos, and the trailer has just been released. In it, people who have been on the receiving end of those random Murray appearances recount the moments they'll never forget. "He's always the one person who you want to meet and you're like, 'This is never going to happen,'" says one man. "And then the guy shows up at your door." At another spot in the trailer, a woman at a dodge ball game is heard saying, "It's Bill Murray" and another replies, "Oh you are kidding me." "Why would such a big celebrity insert himself into these random situations?" asks director Tommy Avallone in the trailer. "This is my search for answers." 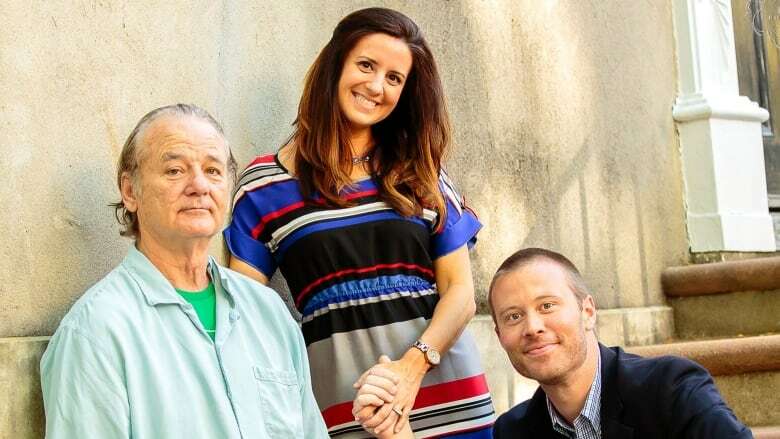 The Bill Murray Stories opens October 26th. The movie will also be available through select on-demand services.